No need to travel to Costa Rica to fly through a forest canopy. Next month adventure seekers will be able to do just that in the North Carolina Smokies. Beginning July 10, the first canopy tour in the Nantahala Gorge area in Western North Carolina will be offered to visitors at the Falling Waters Adventure Resort in the Nantahala River Gorge. The half-mile course crosses 22 acres, from platform to platform via 9 zip lines, three “sky bridges” and five transfer bridges. State-of-the-art equipment includes a helmet, full body harness, trolley, gloves, and a tether safety line. Instruction precedes the adventure. Nantahala Gorge Canopy Tours takes you through multiple ecosystems, past hemlocks, into hardwoods, and through a deciduous forest packed with native flowering plants such as mountain laurel, dogwood, rhododendron, giant Frazier magnolia, rare umbrella magnolia, silver bells and many more. Your canopy ranger will point out these natural features and will also share with you some of the cultural history of the gorge. Advanced reservations are required. For more information, please click here. Quark Expeditions, one of the top adventure travel companies offering access to the Arctic and Antarctic, is currently holding a contest in which the grand prize is a trip for two to Antarctica next year. The excursion is valued at more than $20,000! All you have to do is tell the world – in 300 words or less – why you should be the official blogger for the February 2010 Antarctic cruise. Quark Expeditions is looking for an adventurous spirit, a keen sense of observation, and the ability to write with style and imagination. No blogging experience is necessary. 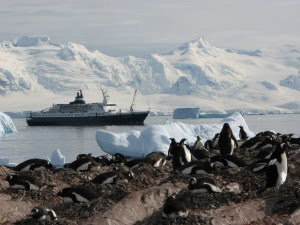 The Official Quark Blogger will travel with a guest to Antarctica, aboard the Lyubov Orlova, and blog about their experience, chronicling the action, the emotion, and the drama as their polar adventure unfolds. You’ll have an opportunity to visit penguin rookeries, cruise in Zodiacs and hike glaciers. The cruise will sail from February 20 to March 3, 2010. The competition started on June 19, 2009 and the end date for all entries is noon September 30, 2009, EDT. A selected entrant will be chosen by public voting – one vote per valid email address. The entry that receives the highest number of votes, and meets all eligibility requirements, will be declared the winner. What better way to celebrate Independence Day this year than by visiting a National Park? The National Park Service has the honor of preserving numerous areas that commemorate the birth of the United States and American Independence. The ideals and freedoms that were won during the American Revolution and guaranteed in the Constitution and the Declaration of Independence are celebrated throughout the National Park System. The National Park Service has made available a website to assist visitors as they make plans to visit national parks this Independence Day. 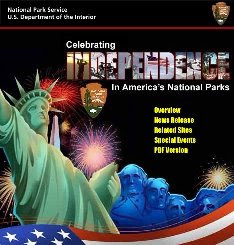 By visiting the Celebrating Independence in America’s National Parks website, visitors can learn of the many special programs taking place on and around the Fourth of July at National Park Service sites throughout the nation. As an example, Cumberland Gap National Historical Park will be celebrating its Golden Anniversary this year. The park was dedicated as a National Historical Park on July 4, 1959. To learn more about American Independence and the National Park Service and to gain a an understanding of our nation’s past, present, and future, visit the Celebrating Independence in America’s National Parks website. Great Smoky Mountains National Park just announced a new program where people can volunteer to become a Citizen Scientist. On June 29 and July 2 volunteer can join park researchers and educators in collecting scientific data in the park. The two events will kick off a summer of Citizen Science opportunities in the Park which will provide hands on learning experiences by engaging the public in real science activities. On Monday, June 29, high school students and recent graduates will join a Ranger in the fields of Cades Cove to search for an enemy of native animals: the fire ant. The project will include collecting data, mapping evidence, and treating fire ant mounds. On Thursday, July 2, the first of four "Citizen Science for the 75th" days is open to the public of any age. Participants will spend the day exploring the trails between the Twin Creeks Science and Education Center and Sugarlands Visitor Center and map the big trees along the way. The focus will be on learning how to identify common Smoky Mountain trees, reading a topographic map, using a GPS unit, and setting up a monitoring plot as scientists here in the park do. For more information on both of these programs, please click here. 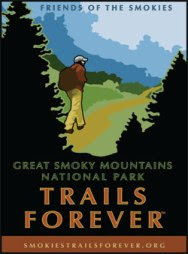 The Trails Forever Program in Great Smoky Mountains National Park is looking for volunteers to help with maintenance and improvements of several trails in the Smokies. The volunteer program lasts throughout the summer. The park service will provide all tools and safety equipment. Additional projects will be posted throughout the summer. For more information on these projects, and how to apply, please click here. According to the national park website, the Abrams Falls Trail has reopened; however, it’s now on the list of trails with posted warnings. Park rangers closed the trail for the second time last Thursday. The odd thing is that park officials didn't plan to reopen it until the bear that was prowling around it was tracked down or caught. Since there’s still a warning posted on the trail, you have to think that the bear hasn’t been caught. I’ll see if I can get more details tomorrow. Hikers are invited to hike one, some, or all the hikes on the calendar. The 2009 Telluride MountainFilm Tour will be making a two-day stop in Cashiers, NC next month, marking the first time the film festival has ever traveled to Western North Carolina. The MountainFilm Tour will be in Cashiers, about 20 miles south of Cherokee, on July 10 and 11. This will be the last stop in the region for the tour. The festival made its way to Knoxville back in February. Both shows will be from 7-11 p.m. The Mountainfilm festival began in 1979 as an opportunity for climbers and mountaineers to enjoy the rugged outdoors surrounding Telluride, Colorado during the day and watch films about mountains and mountain cultures at night. It has evolved over the intervening decades to embrace a much wider and more diverse audience which now stretches to the leading edges of contemporary social, cultural and environmental issues. Both evenings will feature delicious food from local restaurants and live music under the stars at the Cashiers Village Hillside Park. Guests will also be treated to the fine North Carolina wines of Westbend Vineyards (two glasses are included with ticket) and have the opportunity to meet the owner and wine maker. A coffee and dessert intermission will be offered both evenings as well. The festival will open on Friday with the flamenco/jazz/world music of Asheville-based Cabo Verde. This will be followed by dinner, courtesy of Cyprus International Cuisine of Highlands. Saturday July 11th will be a casual evening featuring music by The Trainwreks, voted Western North Carolinas number one Alt-Country band by Mountain Xpress. Dinner will be the delicious sandwiches, pizzas and pastas of Sapphire Brewing Company. The film Pickin' & Trimmin' will be shown and the gentlemen from Drexel, NC will be there to play some of their fantastic bluegrass music! Tickets are $45 for one night, $80 for both. Admission price includes two beverages, films, dinner, coffee, dessert, and a lanyard with your Film Pass, a flashlight and coupons to local businesses. A limited number of $10 tickets, good for film viewing only, will be available at Tommy's Coffee Shop two weeks before the event, and at the door. The gates open at 8pm for film-only ticket holders. WNC magazine will be offering prizes and give-aways. Proceeds will benefit Summit Charter School of Cashiers. Gates open at 6pm both nights. Arrive early to claim your spot in the grass (don’t forget to bring chairs or a blanket! ): gates open at 8pm for ten dollar film-only ticket holders. The event is hosted by Cashiers Village, located near where Highways 64 and 107 meet. You can add the popular Laurel Falls Trails to the list of trails and campsites that currently have bear warning posted as a result of recent bear activity. Laurel Falls is the fourth trail to be added to the list which includes, the Little River, Trillium Gap (near Grotto Falls) and Crooked Arm Ridge trails. The Abrams Falls Trail remains closed and won’t reopen until the black bear prowling around it can be tracked or caught. There are a total of 14 shelters and campsites that have posted warnings, in addition to 4 campsites and one shelter that are closed. Need a cabin during your next visit to the Smokies? 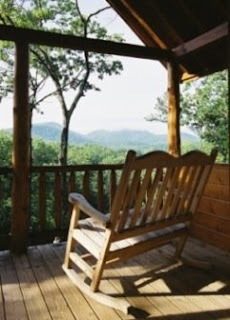 Check out the cabin and chalet listings on HikingintheSmokys.com. The number of listings on our site continues to grow. Our newest partners include Cramer’s Creekside Cabins, Boyd Mountain Log Cabins and Black Bear Hollow Cabin Rentals. Each of these rental properties provide a variety of overnight options and offer a variety of amenities to help you find that perfect cabin or chalet. You can now find overnight lodging in Townsend, Gatlinburg, Pigeon Forge as well as on the North Carolina side of the Smokies. We would like to thank each of our new partners and hope that anyone considering a trip to the Great Smoky Mountains takes the time to visit each of their websites to find a cabin. Oh yea, if you know of anyone planning a trip to the Smokies, I would really appreciate if you passed this information onto them. For the Full Moon on Top of the Smokies Hikes, meet at 8:00 p.m. at the Clingmans Dome trailhead. If all goes well, the hikes will include a spectacular sunset and full moon view. Bring a flashlight. Duration: 1.5 hours. 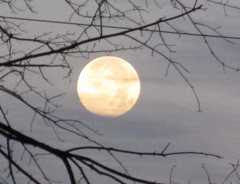 The Cades Cove Full Moon Hikes will meet at 8:30 p.m. at the Orientation Shelter at the beginning of the Cades Cove Loop Road. Duration: 2 hours. Beginning this weekend, Great Smoky Mountains National Park launches its summer guided walks program. Each day, beginning tomorrow, June 20, and running through August 15, the park service will offer several programs and activities throughout the park, including guided walks. There are several other easy, guided walks for adults and children throughout the summer. For more information, and to see the entire list of walks and activities, you can purchase a copy of the summer issue of the Smokies Guide, found at the park visitor centers, or you can visit the Great Smoky Mountains Association website. Although the Parson Branch Road in Cades Cove was scheduled to reopen yesterday, the Great Smoky Mountains website is reporting that the road is now tentatively scheduled to reopen later on this afternoon. The road was closed on Tuesday as a result of mud. With more heavy rain and thunderstorms on the way this afternoon, it's very likely that the road could remain closed even longer than expected. Closure of the Parson Branch Road impacts people wishing to hike the Gregory Bald Trail and the Hannah Mountain Trail. A couple of weeks ago the National Park Service announced that they will be offering three fee-free weekends this summer to encourage Americans seeking affordable vacations to visit our National Parks. The first of the free-admission weekends occurs this weekend, June 20-21, which happens to include Father's Day. Hey, what better way to spend a day than with dear old dad! Entrance fees will also be waived during the weekends of July 18-19, and August 15-16, 2009. Obviously this doesn't benefit people planning to visit the Great Smoky Mountains. Afterall, the park doesn't charge an entrance fee. However, these three weekends might provide a good excuse to visit many of the other parks in the system, such as Shenandoah National Park, that do charge entrance fees. There are a total of 391 national parks located in 49 states, with 147 sites that charge an admission fee ranging between $3 and $25. The votes are in for the poll question: What's the number one reason why you hike? Although the poll didn’t generate as many votes as I had hoped for (there were 82 votes), there were two answers to this question that clearly stood out. The second most popular reason for hiking, receiving 34% of all votes, was to relieve stress and /or forget about the modern world. The other five remaining answers only received a handful of votes. Interestingly, no one voted for seeing wildflowers as their number one reason for hiking. Additionally, only 1 person voted for seeing wildlife as their most important reason for hiking. Tom Harrington, a volunteer for the Great Smoky Mountains, made the trek up to Gregory Bald yesterday to observe the status of the Flame Azalea blooms at the summit. As noted in the previous post, the Parson Branch Road has been temporarily closed as a result of mud. This will impact anyone wishing to hike the Gregory Bald Trail. Until the road is reopened ("tentatively scheduled to reopen on June 17"), hikers will need to take the Gregory Ridge Trail to reach Gregory Bald. For more information on hiking the Gregory Ridge Trail to the summit of Gregory Bald, please click here. The Great Smoky Mountains National Park website is reporting that park officials have posted a warning for active bear(s) on the Little River Trail. The Little River Trail is a popular hiking destination in the Elkmont area. The website is also reporting that the Parson Branch Road has been temporarily closed as a result of mud. This will impact anyone wishing to hike the Gregory Bald Trail. Until the road is reopened ("tentatively scheduled to reopen on June 17"), hikers will need to take the Gregory Ridge Trail to Gregory Bald. Happy Birthday Great Smoky Mountains N.P. Today marks the 75th anniversary of the establishment of Great Smoky Mountains National Park. On this day in 1934, Congress passed legislation providing that the then 400,000-acre holding “be established as a completed park for administration, protection and maintenance,” thus establishing June 15, 1934, as the official birth date of Great Smoky Mountains National Park. To help celebrate this day, I’d like to offer an old film compilation from the Tennessee Archive of Moving Image and Sound that I recently discovered. * Franklin Delano Roosevelt’s dedication of the Smoky Mountains from Newfound Gap in 1940. * One of the most compelling scenes from the film are the shots of old Gatlinburg. Do cougars still live in the southern Appalachians? The Friends of the Western North Carolina Nature Center will present a natural history program on this topic at 2 p.m. Saturday in the auditorium at the Folk Art Center, near Milepost 382 on the Blue Ridge Parkway. The program is part of the Friends 2009 annual meeting. Dr. Don Linzey, a renowned large mammal expert and professor of biology at Wytheville Community College, in Virginia, will speak on cougars in the Appalachians, present a visual program and introduce his dog, Brandi, who helps him with cougar tracking. At 3:30 p.m., younger kids are invited for cougar snacks and hands-on fun with some of the Nature Center's education animals, also sponsored by the Friends. The talk is free to Friends members, $5 suggested contribution for nonmembers. Reservations are recommended. RSVP to Sarah Oram at 828-298-5600, ext. 308, or friends@wildwnc.org with your full name, the number in your party and which parts of the program you expect to attend. You may attend either or both. I just spoke to a ranger at the Smoky Mountains Visitor Center and confirmed that the Abrams Falls Trail in Cades Cove has reopened this morning. The trail was closed yesterday due to bear activity. The ranger stated that hikers should still use caution while hiking. Just a reminder, there are only 4 days left to vote on the poll question: What's the number one reason why you hike? I'm going to need more people to vote to make this a statistically valid poll! The Abrams Falls Trail in Cades Cove is closed, apparently due to bear activity. Right now there is no other information available. Here's the link to the GSMNP website. Every hiker has a personal list of their favorite trails. After many years of hiking in Great Smoky Mountains National Park, I decided to compile a list of what I consider to be the best hikes in the Smokies. If you’re new to the Smokies, this article might be a good starting point for trying to decide what trails to hike. If you’re a veteran hiker of the Smokies and have a different list, step up and voice your opinion. Tell us what’s on your list and why you prefer those trails. The seven hikes that follow are in no particular order. Nuts & Bolts: Start from the Low Gap Trailhead in Cosby to tackle this 2500 foot climb, 12 mile roundtrip hike to the summit of Mt. Cammerer. Trail Highlights: Climb 2.5 miles up the Low Gap Trail before hooking-up with the Appalachian Trail. Cross over a grassy ridge on the AT before turning onto the rugged spur trail that leads to the summit. Mt. Cammerer is on the edge of a rocky outcropping overlooking the Pigeon River Gorge. On a clear day, the views are simply awesome; some even say the best in the Park. For an even better vantage point, step up to the deck of the stone fire tower. This “western” style tower, which was fully restored in 1995, provides unobstructed 360 degree views. Look in any direction and see row upon row of smoky blue mountains. 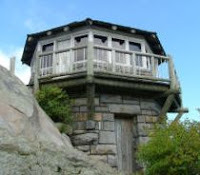 Trivia Tidbit: The octagonal fire tower was built by the Civilian Conservation Corp in the late 1930s using hand-cut stone from the surrounding area. Nuts & Bolts: From the Clingmans Dome parking lot, hike 1.7 miles along the Forney Ridge Trail to reach Andrews Bald. Total elevation gain on the roundtrip hike is 900 feet. Trail Highlights: Only a 1.7 mile hike to see magnificent views? Sounds like a breeze. Well, not so fast. Don’t let the mileage fool you - this is a tough little hike! The trail is littered with rain run-off, rocks and small boulders. But don’t let any of this deter you. Thanks to several acres of open grassy meadow, commonly referred to as balds in the Appalachians, spectacular views of the southern Smokies await you at the end of this hike. Andrews Bald is the perfect place to open up a blanket, relax, and enjoy a picnic. Trivia Tidbit: Without maintenance from the Park Service, Andrews Bald would be reclaimed by forest. Nuts & Bolts: Head east from the Newfound Gap parking lot and hike 4 miles along the Appalachian Trail to reach Charlies Bunion. You’ll climb a total of 1640 feet during the roundtrip hike. Trail Highlights: A long steep climb from the parking lot quickly leaves most of the crowds behind. Eventually you’ll reach a long stretch of trail that traverses a ridge where you’ll be hovering around an altitude of roughly 6000 feet. Being at the highest point along this narrow ridge, with views on either side of the trail, you’ll feel like you’re walking along the spine of the Appalachians. Originally known as Fodderstack, Charlies Bunion is a precipitous rock out-cropping offering stunning views of the Tennessee side of the Smokies. If you still have the energy on your way back, take a side trail near the Boulevard Trail junction to visit The Jump Off. The views from this vantage point are well worth the additional one-mile roundtrip. Trivia Tidbit: The current name of this popular destination is a result of when Charlie Conner was hiking with Horace Kephart, one of the early proponents of a national park in the Smokies. When they paused for a rest, Conner took his boots and socks off exposing a bunion that looked like the surrounding rocks. Looking at Conner’s feet, Kephart remarked, “Charlie, I’m going to get this place put on a government map for you.” And so he did. Nuts & Bolts: This is a moderate roundtrip hike of 4 miles beginning out of Greenbrier, just east of Gatlinburg. Trail Highlights: The Porters Creek Trail just about has it all. You’ll stroll along a beautiful cascading stream through a lush old-growth forest, while walking past many remnants of the early settlers in this area before reaching a little known waterfall. 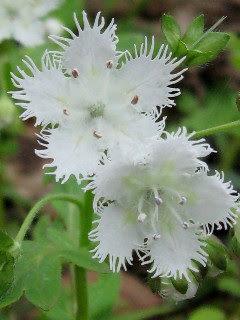 If you hike this trail during the spring you’ll have the added benefit of spectacular displays of wildflowers. The forest floor was carpeted with bloodroot, hepaticas, violets, white trilliums, fringed phacelia, rue anemone and many other wildflowers during our early spring hike. At roughly 2 miles, Fern Branch Falls slides and tumbles nearly 50 feet off the ridge parallel to the trail. Trivia Tidbit: Roughly 1 mile from the trailhead is a short side trail that takes you to the John Messer farm site which includes a cantilevered barn built around 1875. There’s also a cabin that was built by the Smoky Mountain Hiking Club in the mid-1930s. Nuts & Bolts: This is a strenuous hike of 12.5 miles and more than 3600 feet of elevation gain. Start from the Anthony Creek trailhead in the Cades Cove Picnic area. Trail Highlights: You’ll huff and puff up the mountain for the first 5 miles of this hike, but your hard work will be paid-off once you reach Spence Field. If visibility is good, the grassy meadows up here will afford you with outstanding views of the North Carolina side of the Smokies. If you can arrange it, hike the trail in late spring when Spence Field showcases the most spectacular display of mountain laurel you’ll see just about anywhere. The hillsides and meadows are literally covered in the white and soft pink flowers from this member of the heath family. Spence Field is a destination in and of itself, but the views get even better if you continue along the Appalachian Trail for an additional 1.2 miles. After another stiff climb of 550 feet you’ll finally reach Rocky Top, the first of three peaks on the summit of Thunderhead Mountain. The panoramic views from here, in my opinion, are the best in the Park. From good ole Rocky Top you can see Fontana Lake, Cades Cove, Townsend, Maryville, and beyond. Trivia Tidbit: Yes, this is the same Rocky Top that is now the fight song for the University of Tennessee and one of the official songs for the state of Tennessee. Nuts & Bolts: From Cades Cove, climb 3000 feet and trek 5.6 miles up the Gregory Ridge Trail to reach the 10 acre Gregory Bald summit. Trail Highlights: As stunning as the year-round views are, Gregory Bald is most famous for the spectacular flame azaleas that bloom on the summit from mid to late June. Azalea lovers from all over the world come here to visit perhaps the finest display of azaleas anywhere on the planet. You’ll see a rainbow of colors including fire red, wine red, orange, salmon, yellow, white, pink, and even multi-colored azaleas. Even if you can’t make it in June, this hike should be on your list for any time of the year. The commanding views of Cades Cove, Fontana Lake and the eastern crest of the Smokies make this a year-round destination. Trivia Tidbit: This particular bald is named after Russell Gregory, an early settler in the Cades Cove area. 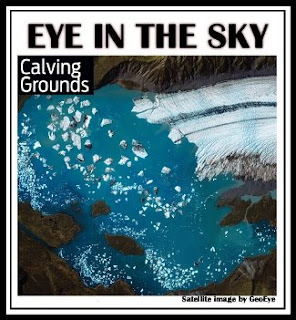 He and other cove residents used the field to graze cattle during the spring and summer when the fields in the cove were needed for growing crops. Nuts & Bolts: Take the 5.5 mile hike up Alum Cave Trail to the Summit of Mt. LeConte. You’ll climb 2763 feet to reach the summit of the third highest peak in the Smokies. Trail Highlights: If ever there was a classic hike in Great Smoky Mountains National Park, the Alum Cave Trail to Mount LeConte would certainly qualify. Sure, there are trails in the Park that are far longer, that gain more elevation, or have steeper climbs, but the Alum Cave Trail is unmatched in its combination of interesting geological features, history, high adventure and stunning views. To reach the summit, climb through Arch Rock, take your first breather at Inspiration Point, spot a peregrine falcon near the Eye of the Needle, marvel at the imposing Alum Cave, and hold-on tight to the cable hand rails as you pass over the rock ledges on the upper portions of the trail. Upon reaching the summit, go to Cliff Top near the LeConte Lodge for outstanding views of Clingmans Dome and the rolling mountains that lie towards the west. On the other side of LeConte is Myrtle Point which offers incredible vistas of the eastern Smokies. Trivia Tidbit: One of the unique things about Mount LeConte is the lodge and overnight cabins at the top. Hikers can spend the night in one the rustic cabins which can accommodate roughly 50 guests a night (you'll need to make reservations first). Summer hiking season is already upon us. Anyone who has ever been to the Smoky Mountains during the summer knows how hot and humid it can get in the Southern Appalachians. Temperatures have already reached the upper-eighties in Gatlinburg. I’d like to offer some tips for beating the heat this summer. Before we go into anything else, the most important thing about hiking during the summer is staying properly hydrated. Hiking in hot, humid weather depletes your body of liquids. To replace lost fluids and electrolytes you need to drink frequently. If you wait until you feel thirsty you’ll more than likely already be dehydrated. The more dehydrated you become, the less efficient your body is at cooling itself down. Your body becomes less efficient at walking as well. If you’re thinking about drinking water from the backcountry, know that it must be treated for Giardia lamblia. Giardia is a parasite that can cause an intestinal infection with a variety of symptoms. To avoid this infection, boil water for at least one minute or use a filter capable of removing particles as small as 1 micron. Summer provides a great opportunity to explore trails at the higher elevations of the Park where it’s naturally cooler. Keep in mind, however, that the summer season brings thunderstorms to the Smokies. Never ascend above tree line when there’s lightning. If you’re already above tree line when a thunderstorm approaches you’ll want to descend immediately. Wearing a hat, a baseball hat, or, preferably, a wide-brimmed hat, will help protect your face and neck from the sun. Don’t forget sunscreen either. Sun-burned skin makes you feel hotter. For additional safety tips, please click here, and to make sure you have all the essentials before heading out on the trail, please review our hiking checklist. Poll: Why do you hike? What's the number one reason why you like to hike? You may notice there’s a new poll question on this blog (located in the upper right hand corner). I was just curious as to what the most popular reason is for readers of this blog to get out and go hiking. I’ll leave this up for a week or two, and then report on the final numbers. Feel free to leave a comment if you wish to expound on the reasons for your choice. Due to the Knoxville Symphony Orchestra performance this coming Saturday, several trails will be closed and the Cades Cove Loop Road will have a varied opening and closing schedule. The road will open to all motor vehicles at sunrise (around 6:30 a.m.) and close at noon to all vehicles, bicyclists and pedestrians. The normal Saturday morning road closure for bicycle and pedestrian use this Saturday will not be in effect. Although the road is open from 6:30 to noon, all traffic will be closed beyond Hyatt Lane. Traffic will be detoured across Hyatt Lane to exit Cades Cove. The west end of the Loop Road will be closed all day. At 12:00 noon, general access to Cades Cove will be terminated at the Townsend Wye near Townsend, TN. Rangers will still allow registered campers staying at the Cades Cove campground to pass through to the campground. The concert and subsequent road closures will impact many trails in the area. * All trails on the west end of Cades Cove will be closed all day. This includes Abrams Falls, Gregory Bald, etc. * All trails on Laurel Creek Road and trails in Cades Cove east of Hyatt Lane will be closed at noon. This includes Rich Mountain Loop, Anthony Creek, Lead Cove, Schoolhouse Gap, etc. * All trails in the Tremont area will be closed at noon. This impacts the West Prong, Lumber Ridge and the Middle Prong trails. The concert begins at 3:00 p.m. and a vehicle pass must be presented for the evening Knoxville Symphony performance. For more information on the concert, road closures and trail closures, click here: (PDF). Discover Life in America (DLIA) will be holding the 1st Annual Firefly Festival in the Smokies (PDF link for more info) this coming Friday, June 12, at the Happy Hiker in Gatlinburg. The Firefly Festival offers a snapshot of the wondrous biodiversity found in the GreatSmoky Mountains. The festival will include music, food & drink, an insect zoo, opportunities to ask questions of a firefly expert, meet a local nature author, children’s activities, and much more. The Firefly Festival will be held from 10AM – 6PM in the Happy Hiker parking lot, located at 905 River Road in Gatlinburg. For more information on the synchronous fireflies and a short video, please click here. If you can guess which park this satellite shot was taken of, you could win a DeLorme PN-40 GPS unit from Backpacker Magazine. This spectacular park, usually seen from sea level in a touring kayak, features giant glaciers, sheer cliffs, orcas, and bobbing icebergs. But a satellite shot taken from 423 miles high offers a different view. The magazine offers five clues to help you guess the name of this spectacular destination. Entries are due by June 10. Click here to find a few clues and to enter the contest. This Saturday is National Trails Day. National Trails Day is a celebration of trails that evolved from the report of Ronald Reagan's President's Commission on Americans Outdoors, in 1987, that recommended that all Americans be able to go out their front doors and within fifteen minutes, be on trails that wind through their cities or towns and bring them back without retracing steps. The recommendation, dubbed Trails for All Americans, became the impetus behind several public and private parties joining the American Hiking Society in launching National Trails Day in 1993. There are roughly 200,000 miles of trail in the United States now! The following are a few of the events that are happening in the Smoky Mountains region that hikers might be interested in. Please note: some of these events will not be held this Saturday - make sure to check dates and times on all events. Leading experts in the fields of bat physiology, fungal ecology, ecotoxicology, disease and environmental modeling, among others, will gather at a workshop at the National Institute for Mathematical and Biological Synthesis, June 29-July 1, at the University of Tennessee in Knoxville to explore the disease and to develop solutions to manage it. Representatives from relevant state and federal agencies and other organizations will also be in attendance. More than a half million bats have died in the last three years as a result of the disease, known as White-Nose Syndrome. The name comes from the distinctive white fungus growing on the muzzles and other body parts of infected bats. It’s unclear how White-Nose Syndrome spreads. The fungus forced Great Smoky Mountains National Park to close caves and mines within park boundaries back in April. In that same month, the U.S. Forest Service issued an emergency order closing all caves and mines in 33 states for up to one year while scientists work toward learning more about the disease. To date, no evidence of the fungus has been found in the Smokies. Sometime early this evening the National Parks Second Century Commission finally posted the meeting agenda for the fifth and final meeting in Great Smoky Mountains National Park (see previous post from earlier today for more background on this). Today's meeting was held at the new Twins Creek Science & Education Center on Cherokee Orchard Road. The meetings for tomorrow and Thursday will be held at the Buckberry Lodge. It doesn't appear from the agenda that citizens will be able to provide input into the process. If that indeed is the case, it's pretty unfortunate because it clearly states on the Commission home page that part of the process includes "public testimony and extensive public comment". We the people, the owners of these parks, should be included in helping to shape the future of these parks. Who's AWOL: 2nd Century Commission or the press? As I mentioned in a previous post, the National Parks Second Century Commission was scheduled to conduct its fifth and final meeting in Great Smoky Mountains National Park beginning today. The three-day meeting was scheduled to run through Thursday, June 4. Oddly, there’s no mention of the meeting in the local press or on the Great Smoky Mountains website. Nor has there been any updated information on the Second Century Commission website, including a meeting agenda similar to what's been provided for prior to the previous meetings in Yellowstone, Gettysburg, etc. I really don’t understand why this hasn’t received more press than it has. After all, the goals of the commission are fairly lofty. From the series of five meetings, the Commission will be creating a report that outlines how park services can be expanded to reflect cultural changes, and to establish a 10-year program to repair and enhance the parks through a mix of public and private funding. The attendees at these meetings aren’t chopped liver either. The Commission consists of nearly 30 national leaders and experts, including scientists, historians, conservationists, academics, business leaders, policy experts and retired National Park Service executives, and is being led by former Senators J. Bennett Johnston Jr. of Louisiana and Howard H. Baker Jr. of Tennessee. What’s really strange, even disheartening, is that the Commission is supposed to hear comments from the general public and to take into account local issues that impact national parks. How can anyone attend if no one knows that the meeting is even occurring, or where it’s being conducted? Has the report been finalized already and is this last meeting merely a matter of going though the motions? Is the Commission afraid of too much negative feedback regarding local issues in the Smokies? Why isn’t the Knox News Sentinel, the Maryville Daily Times, or even the Asheville Citizen-Times covering this? I just think that it’s strange that this event has been ignored the way it has been. I just wanted to let everyone know that I've added three new trails to my website. As with all the trails covered on my site, the reports for the new trails include trail descriptions, key features, pictures, maps, elevation profiles, hike statistics and difficulty ratings. * Brushy Mountain - relatively easy hike to a mountain top summit with outstanding views of Mt. LeConte and the entire eastern flank of the Smokies. * Silers Bald - hike along the Appalachian Trail, with plenty of panoramic views, to a shrinking bald. * Sugarland Mountain Trail (upper) - great trail for those seeking solitude, with a few views to boot. If you get a chance to take a look at these, please feel free to let me know about any comments you might have about any the hikes or the information provided in the reports.